The County Home on SR 83 started life as an infirmary. It was built in 1866 at the cost of $44,000 for the farm and buildings. 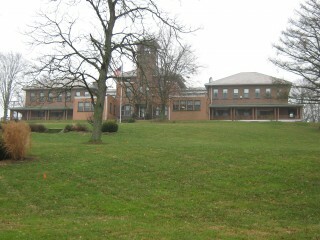 It served as the infirmary for 29 years, until a fire destroyed the building on March 17, 1895. All of the inhabitants were safely removed, but the building was badly damaged. Funds were soon secured to rebuild the infirmary, and community members went to work to begin rebuilding. There is a booklet in the Local History and Genealogy Room that describes in detail the efforts of rebuilding. 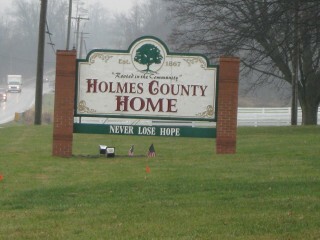 This is a picture of the Holmes County Home today. Click here to see a picture of it when it was newer.